Make new friends, discover new channels, expand your viewer base. 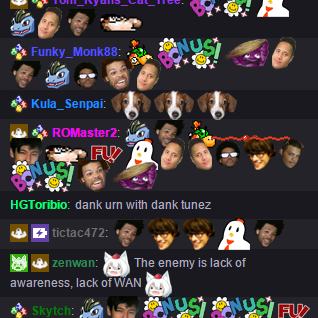 Think you can make top-tier emotes? 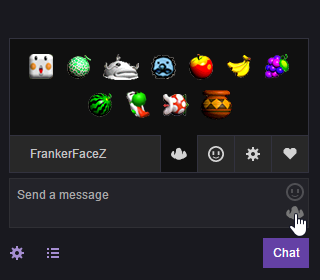 Maybe you'll top the charts and have the most-used emotes on FFZ. 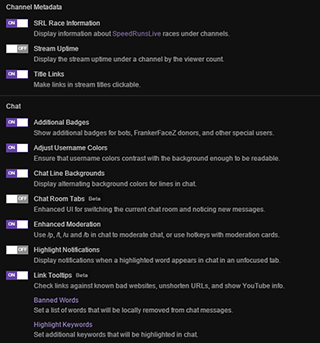 Or maybe you'll be hand-picked for Feature Friday — which makes your emotes global for the whole day, not to mention gives every one of 80,000 FFZ users a direct link to your stream. Questions or feedback? We love hearing from you guys. Feel free to find us on social media.